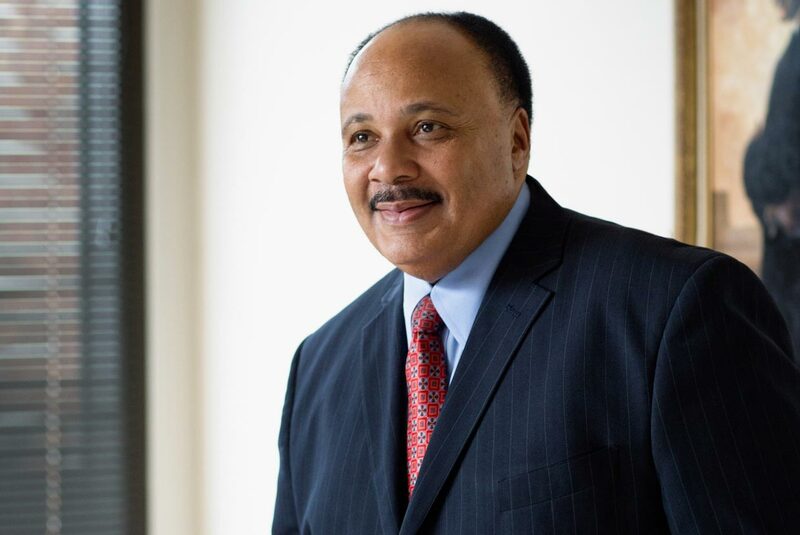 Martin Luther King III, the eldest son of the Rev. Dr. Martin Luther King Jr. and Coretta Scott King, will be a special guest speaker at the upcoming 2018 Virginia Film Festival from Nov. 1 to 4. King’s appearance is the result of a partnership between festival organizers, the Community Idea Stations, the University of Virginia’s Center for Politics and the Frank Batten School of Leadership and Public Policy. King will speak after the national premiere of “Charlottesville,” a documentary produced and presented by the Center for Politics and the Community Idea Stations, with major funding provided by the Virginia Foundation for Public Media. The address will be followed by a conversation with King moderated by the center’s director, Larry Sabato, University Professor of Politics. The Virginia Film Festival is a program of the University and the Office of the Provost and Vice Provost for the Arts. The 2018 festival, set for Nov. 1 to 4, will include more than 150 film screenings and more than 100 industry guests from around the world. Last year’s festival screened more than 200 films, with more than 30,000 in attendance. The full festival program will be announced Oct. 2; the schedule of films and guests will be available to browse online on Oct. 4. Tickets will go on sale to the public Oct. 8. The 2018 Virginia Film Festival is presented by The Joseph & Robert Cornell Memorial Foundation (Richard M. Adler and Joseph Erdman, trustees). “Charlottesville” is a two-hour documentary that traces the tragedies of Aug. 11 and 12, 2017 in Charlottesville while asking “How could this happen in modern America?” Firsthand accounts by victims and witnesses who woke to find riots in their backyards and murder in their streets present a compelling account of Charlottesville in the wake of shocking racial strife, religious bigotry, government blunders and political equivocation. After the festival’s premiere of the documentary, it will air nationwide on PBS stations. In the late 1970s, Martin Luther King III represented President Jimmy Carter in two official delegations to promote peace in foreign countries. Later, in 1984, as a member of the board of directors of The Martin Luther King Jr. Center for Nonviolent Social Change, King toured five poverty- and drought-stricken African nations, inspiring the Africa Initiative, a program developed to end starvation in Africa. In the 1980s, he turned his attention and his action to the injustices of South Africa and was arrested at the South African embassy in Washington, D.C., as part of a civil disobedience protest against apartheid and for the release of freedom fighter Nelson Mandela. Committed to the personal, educational and skill development of youth, he initiated the King Summer Intern Program to provide employment opportunities for high school students; “Hoops for Health,” a charity basketball game intended to increase public awareness of newborn babies who suffer the effects of substance abuse; and “A Call to Manhood,” an annual event designed to unite young African-American males with positive adult role models. In addition to addressing many youth groups and volunteering for several youth and young adult-oriented projects, one of King’s writing projects is directed to young people. Since leaving public office, King has initiated “America United for Affirmative Action,” a national coalition of organizations to prevent the dismantling of affirmative action initiatives across the nation. From 1997 to 2004, King served as the fourth president of the Southern Christian Leadership Conference, the organization that his father co-founded in 1957. A longtime member of the board of directors, King has devoted much of his adulthood to continuing his father’s mission of nonviolent conflict resolution, including convening hearings on police brutality and racial profiling in several states that have led to anti-racial profiling resolutions. His “Stop the Killing-End the Violence” campaign was the anchor for gun buy-back programs that collected more than 10,000 weapons across the U.S.
King has helped spread his father’s message to young people throughout the globe, including through his nonprofit, Realizing the Dream Inc., now a part of The King Center. He has led nonviolence conferences and youth development workshops in the U.S. and in Bosnia-Herzegovina, India, Israel and Palestine, Kenya and Sri Lanka.